Are you proud of your country? Are you willing to defend its borders? 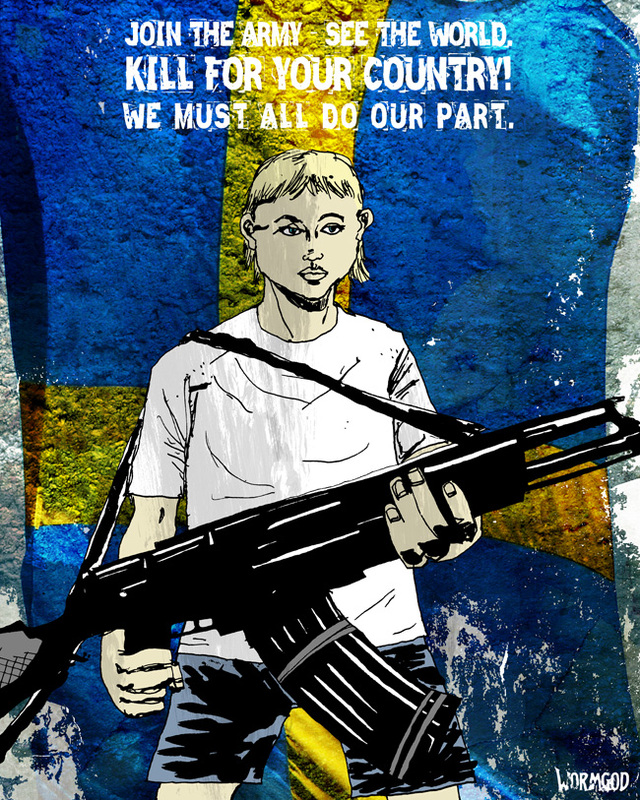 Are you ready to die for your nation? Are you prepared to kill for it? And if you are, did you ever ask the question: why? Did you ever think about the consequences of this pride, the consequences of something as stupid as borders, the consequences of something as devastating and grotesque as war? Did you ever stop to think about the people reduced to numbers? And about the only person in these images that we actually know the name of: Lynndie England. That woman with the leash in the torture scandal at Abu Ghraib. And the only reason it ever counted as a scandal is the fact that it was photographed. Why did she and the others do it? And what about all the times when there was no camera? 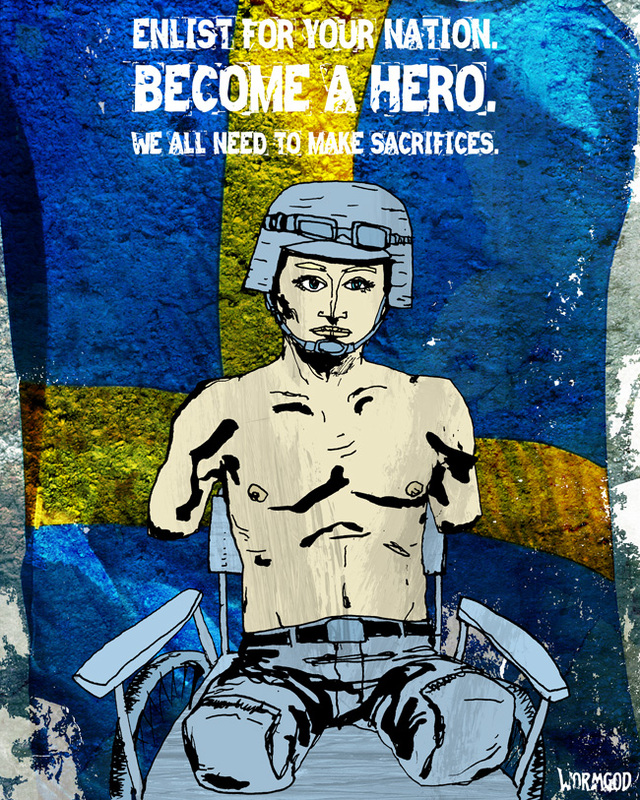 Consequences of war, consequences of nationalism. Every national flag hanging out of a window is a part of this, even if the purpose is all innocent. Because when war approaches, those flags are being used to rally the people to fight for them, the people in power who never see combat themselves but who gladly send their people onto the battle fields. 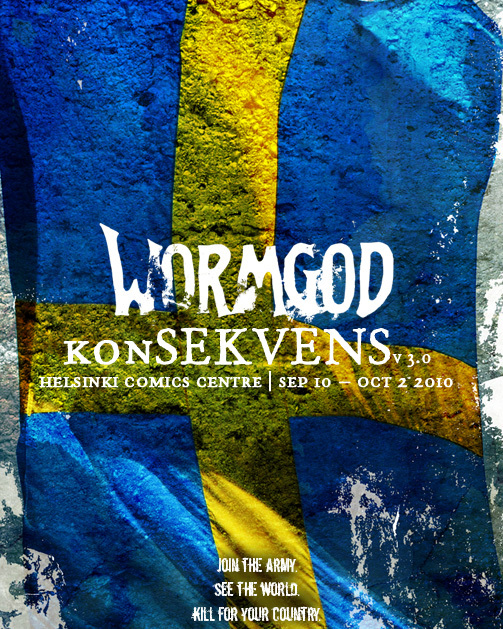 Wormgod is Susanne Johansson and Mattias Elftorp, artists and comics creators living in the south of Sweden. Wormgod is art inspired by the horrors of everyday life, capitalist society and its consequences that shape the world around us. We can’t close our eyes to these horrors, so instead we use their images to expose them. Crass said it well before us: »Be warned! The nature of your oppression is the aesthetic of our anger«.